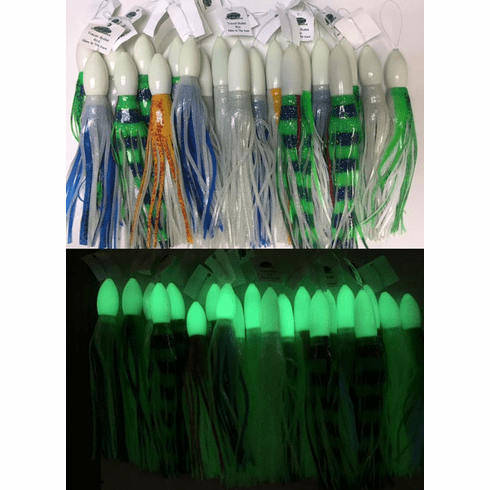 Glow in the Dark Wahoo Tracer Lures Miami Fishing Supply, complete selection of offshore fishing tackle, marine electronics and boat supplies. Tracer Bullets were designed and developed with northeast canyon fishermen in mind. As night time trolling for bigeye tuna & wahoo has gained popularity and become very productive, we decided to developed a glow lure that offers a bright long lasting glow. 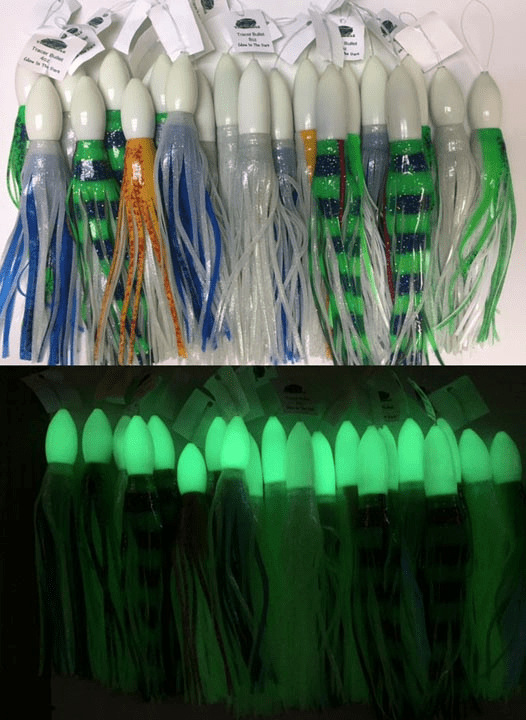 Glow lures work best when pulled under dark condition where the glow of the lure simulates the same profile in the water as baitfish feeding under a full moon or in a commercial boats working lights. Our glow lures utilize color combinations that make them just as productive in the daytime, as they are when trolled at night.